Over the course of his 20-plus year career, Woody Harrelson has played good cops and bad cops, pornographers, and cold-blooded killers. But even his darkest roles can't compare to the drama he's dealt with behind the scenes. His father, Charles Harrelson, was a hitman convicted of killing two, and suspected of more. The elder Harrelson wasn’t around for much of Woody's childhood. He left his family in 1968 when his son was just seven. Years later, Woody was listening to the radio and heard news anchors discussing the murder trial of Charles V. Harrelson. Figuring that there couldn't possibly be that many Charles V. Harrelsons out there, Woody questioned his mother about his father’s whereabouts. That’s when he learned where his dad had been. 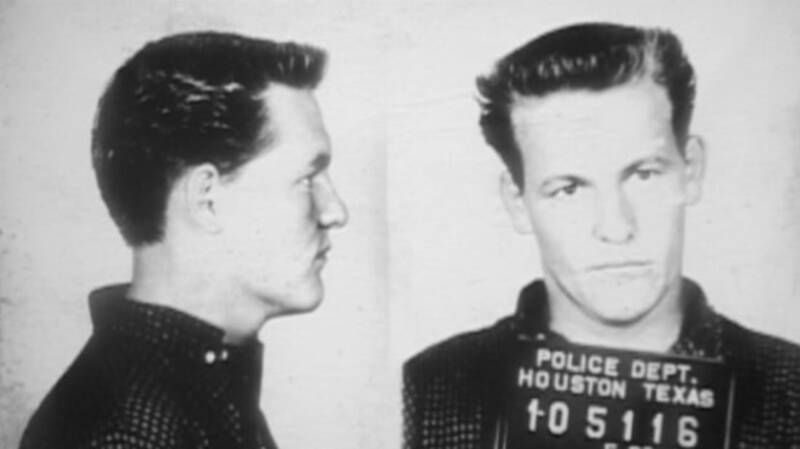 Charles Harrelson had already served five years in prison for the murder of a Texas grain dealer. He had been sentenced to 15, but let off early for good behavior in 1978. His brief stint as a free man didn't last long. Harrelson was convicted of the murder of U.S. District Court Judge John H. Wood, Jr., after Texas drug lord Jamiel Chagra testified that he had hired Harrelson to kill the judge for $250,000. Chagra was facing a life sentence for smuggling drugs, and hoped that his case would get transferred to a more lenient judge after Wood’s demise. Harrelson received two life sentences. In 1988, Woody Harrelson told People magazine that he was working on his relationship with his father. “This might sound odd to say about a convicted felon, but my father is one of the most articulate, well-read, charming people I've ever known," the actor, now 54, explained. "Still, I'm just now gauging whether he merits my loyalty or friendship. I look at him as someone who could be a friend more than someone who was a father." Woody tried to get his father a retrial, though he wasn’t convinced he was deserving of it. "I don't know [that] he did deserve a new trial … just being a son trying to help his dad. Then I spent a couple of million beating my head against the wall,” he told the Guardian in 2012. His efforts were indeed for naught: The elder Harrelson had a heart attack and died in prison in 2007.